Here are the colors we recommend for this CD. We've printed Dolls images on fabric to get as close a match as possible. Experiment with your own color combinations! This is just to get you started. If you can afford it, the best choice is the Heirloom Collection pictured below (one of my personal favorite collections). If not, you can't go wrong with the 4 colors we've selected to get you started. You will love these premium 100% silk ribbons hand-dyed in China by a master craftsman. 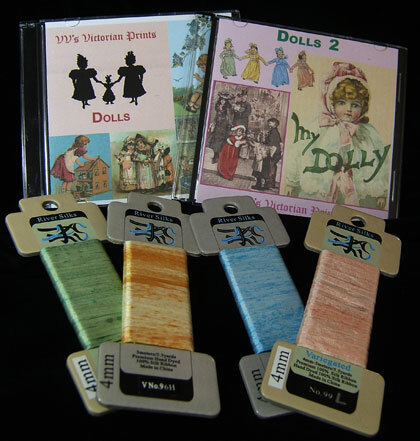 We use them mostly for fabric embellishment, card making and quilting. However, these ribbons are known for their use in knitting, crocheting, jewelry making, punch needle embroidery, hand embroidery. They do not ravel, fray, run or split. 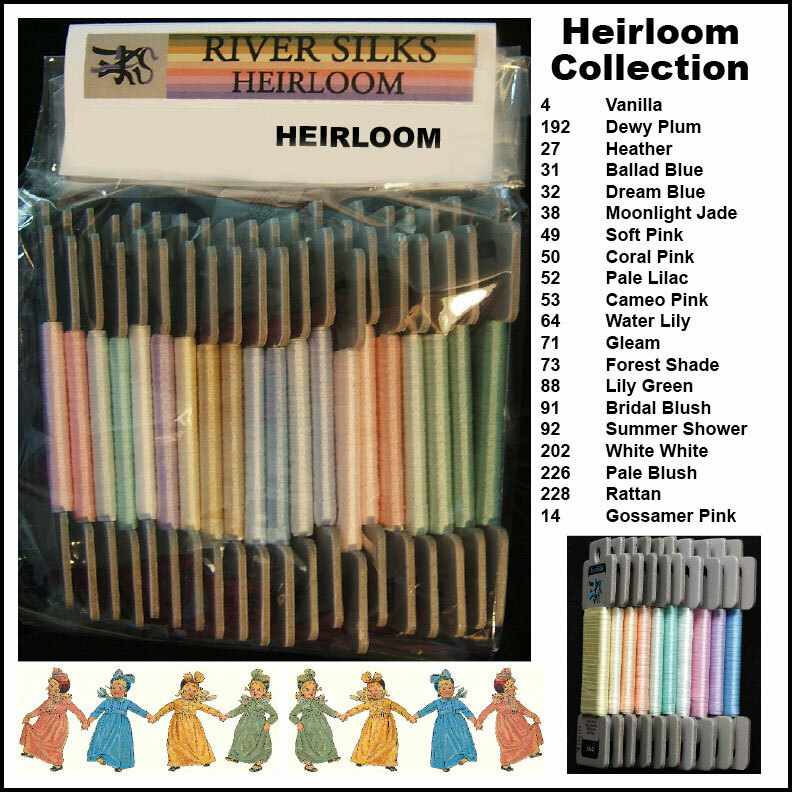 There are hundreds of colors and color combinations (solids and overdyes) available as well as undyed white ribbon (spooled 5M to 100M and hanks). Here are the colors presently available. Although we are grouping the 4mm ribbon width in our packs, you may also order 7mm and 13mm from us. In addition to spools of 50m, 100m or 1000m, you may order bobbins of 5m.